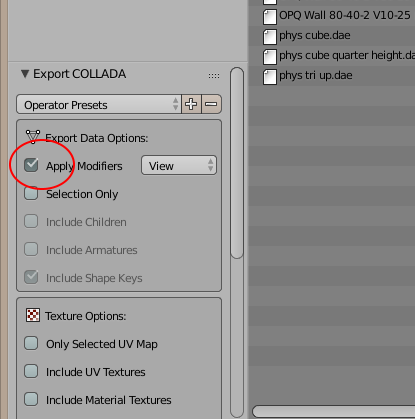 I'm not sure how to solve your mesh import problem, but I can suggest an alternative that would allow you to avoid having to use mesh at all. Why not make your spankable object simply a transparent sphere? 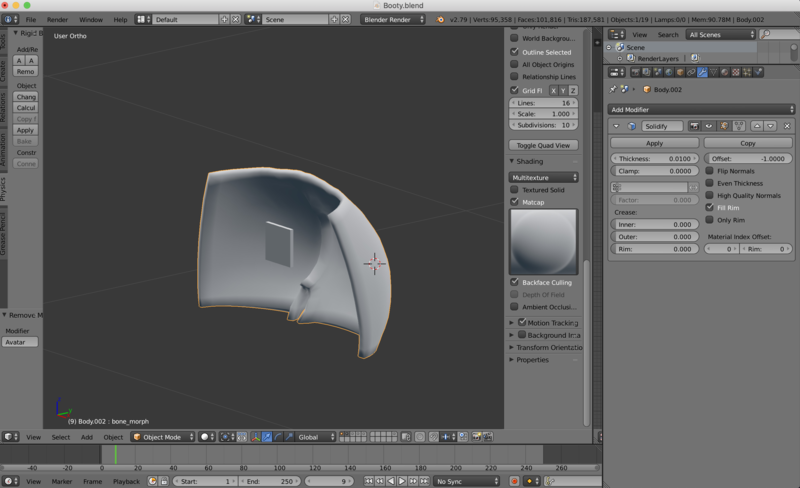 Ah yes, I thought about just doing that, but I sort of need the mesh booty for texturing purposes. But thank you for the recommendation! I'm not sure what video tutorials you have watched but, remember that video tutorials for Blender are not video tutorials for Second Life. When we use Blender to make SL content, we're actually asking it to do a job very different from what it was meant to do and that means we often have to do things different from how "normal Blender users" do them. It's hard to be sure what the problem is here but my first thought is: did you rememebr to triangulate the mesh? Backup and test what you are doing with a basic cube. Make a Blender cube and import it. Much easier troubleshooting. Presumably you are testing using the ADITI Preview grid where uploads are free. You appear to be using a Modifier. Those are often the problem. They have to be applied before import. The trick to keep things editable is to save a copy of the file, THEN apply the modifiers and save that as a different file. If you plan to use the 'booty' with various mesh bodies and have the redness appear on the skin rather than floating above it, you'll have to be weighting your booty to the various mesh bodies. 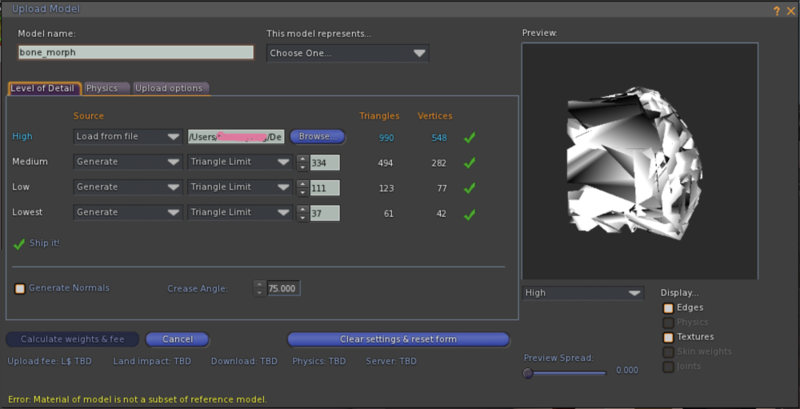 SL issues with weighting, modifiers, size, and various brands of mesh body are mostly taken care of with the Blender Addon AVASTAR. You can greatly reduce your learning curve using it. I feel stupid for not noticing that.